MILWAUKEE — Bliffert Lumber & Hardware, a family-owned and operated company that has been in business in the Milwaukee area since the late 1800s, opened a new location in Germantown, Wis., after purchasing the former Neu’s Supply Line Inc. lumberyard. “We are very happy to be in the Germantown market and look forward to continuing to supply the same high-quality products and service that the Neu family provided for so many decades,” Bliffert Lumber & Hardware Vice President Eli Bliffert said in a press release. 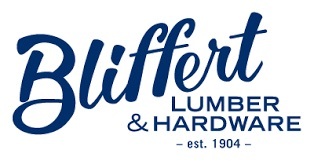 Bliffert Lumber & Hardware, a member of the LBM Century Club operates eight locations in Southeastern Wisconsin and employs more than 165 people. The company has grown steadily since 2002, when Bliffert consisted of two lumber yards and 20 employees, the press release says. Today the company is comprised of traditional industrial yards, new construction yards, and even a neighborhood hardware store.